The movie Horton Hears A Who: trailer, clips, photos, soundtrack, news and much more! I’m quite sure this movie is gonna be a hit. 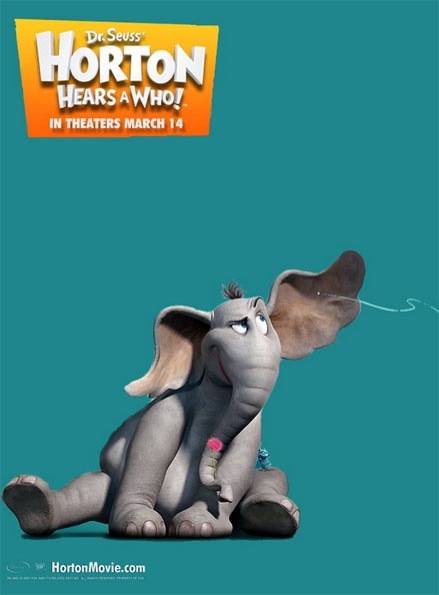 Horton Hears A Who is the movie adaptation of Dr. Seuss’ famous book of the same name. Jim Carrey and Steve Carell make the voices: good voice cast! Would never have thought that an elphant could be that funny!